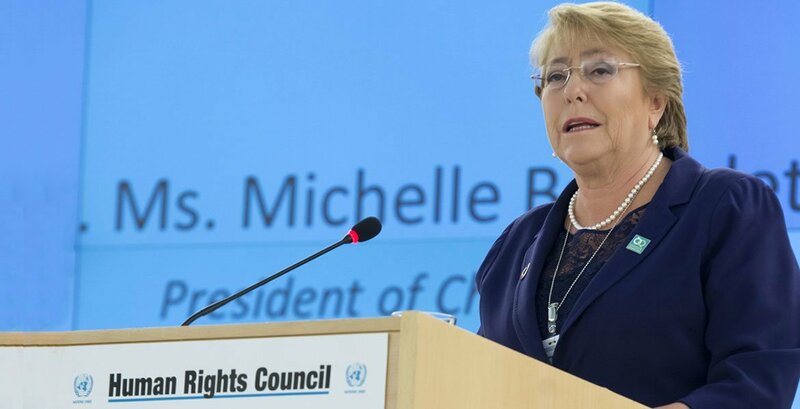 Michelle Bachelet of Chile, newly-nominated as the next UN High Commissioner for Human Rights by Secretary-General António Guterres. The Secretary-General nominated Ms. Bachelet after consulting widely with the Chairs of the regional groups of Member States. Her name now goes forward for consideration and approval by the 193-member UN General Assembly. 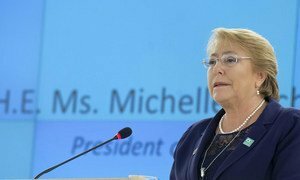 Ms. Bachelet just ended her second four-year term as President earlier this year, having already held the post between 2006 and 2010. She was the first woman to be elected to Chile’s highest office. After her first term, she came to New York as the first ever Executive Director of the UN gender equality office, UN-Women. She also held key governments posts earlier in her political career as Chile’s Minister of Defence, and Minister of Health. 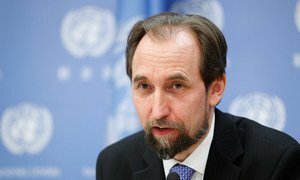 The job is currently held by Zeid Ra’ad al-Hussein, who steps down from the unique role, calling governments and leaders to account for human rights abuses, at the end of this month. He served a single term, beginning in 2014. Headquartered in Geneva, the Office of the High Commissioner for Human Rights (OHCHR) is mandated to promote and protect the universal exercise and full realization of human rights, across the world, as established in the UN Charter.